Years ago, when I served in a church in Healdsburg, there was discussion about whether a little piece of the property should be used for a community garden. Arguments went back and forth about water issues and strangers on the property and use of resources, and the church ended up not doing it at the time. The benefits of the project weren’t appealing enough for the church leadership. A very different story is told in the new film, All Saints, which is based on the true story of a Episcopalian Church in Smyrna, Tennessee, that turned most of its land into a farm to save itself. In 2007, first time pastor, Michael Spurlock (John Corbett), was brought into a church to close it. Only a dozen people were in attendance on Sunday mornings, and the diocese didn’t feel they could support the church any longer. Spurlock intended to follow instructions to facilitate selling off the property and to encourage the members of the congregation to worship elsewhere. 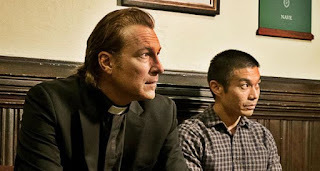 But Spurlock began to see another path when a group of Burmese refugees from a people group called the Karen came to worship at All Saints Church. The refugees became Christians in the Anglican Church back in Burma, so they’re ready to worship as Episcopalians. But they also had great financial needs of their own, including a number of families struggling even to feed their children. Spurlock believes God gives him an answer to the question, not unlike Kevin Costner in Field of Dreams. 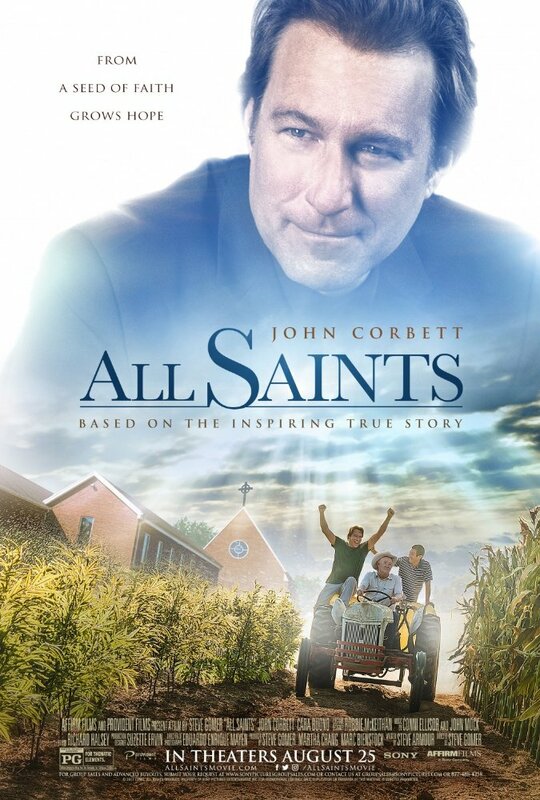 Whereas Costner was told by a voice to plow under corn to make a ballfield, Spurlock says God told him to use the land that had once been used for ball fields to plant corn -- and tomatoes and a Southeast Asian favorite, sour leaf. 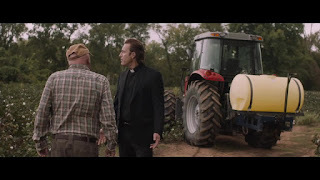 Spurlock hopes that the crops can provide food for the Karen, and the sale of the rest of the crops will pay the church’s mortgage. But God does a more interesting work of bringing Tennessee and Burmese farmers to work together and eventually to worship together. Mindy and I have visited a number of ethnic congregations over the last couple of years, and we’ve visited churches that have English language services and on the same facilities a congregation using another language. Sometimes there seems to be little contact between the congregations, but All Saints uses a translator during the service to allow the two groups to worship together. To be honest, I was even more impressed by another church not shown, but talked about in the film. The leader of the refugees, Ye Win (played by Nelson Lee), told Spurlock about the refugee camps where he and other Karen refugees lived for years. In those camps there was theft, brutality, and abuse, and often the only refuge in the refugee camp was found in the rice hut where the food was stored. That was also where the church met. It was a sanctuary for hurting people. The church’s path isn’t a smooth one. The people in the film end up asking, “Why, God, did you ask us to act and seem to ruin the results?” a variation on the old “Why do bad things happen to good people” question. Amazingly, the film comes up with some decent answers. 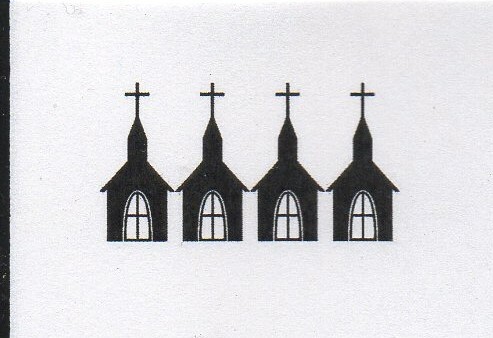 In spite of the choir’s sour notes and Spurlock’s Scripture-light sermons, I’m going to give the church in All Saints our highest rating of four steeples because they do raise the Name of Jesus, and they care for the poor -- their neighbors -- in that Name.